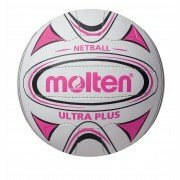 All Rounder Netball are proud to stock Molten Netballs perfect for either a match or training purposes. Molten netballs have been developed with deep embossed pimples to provide excellent all weather grip. So whether you are playing indoors or out these are the perfect choice.